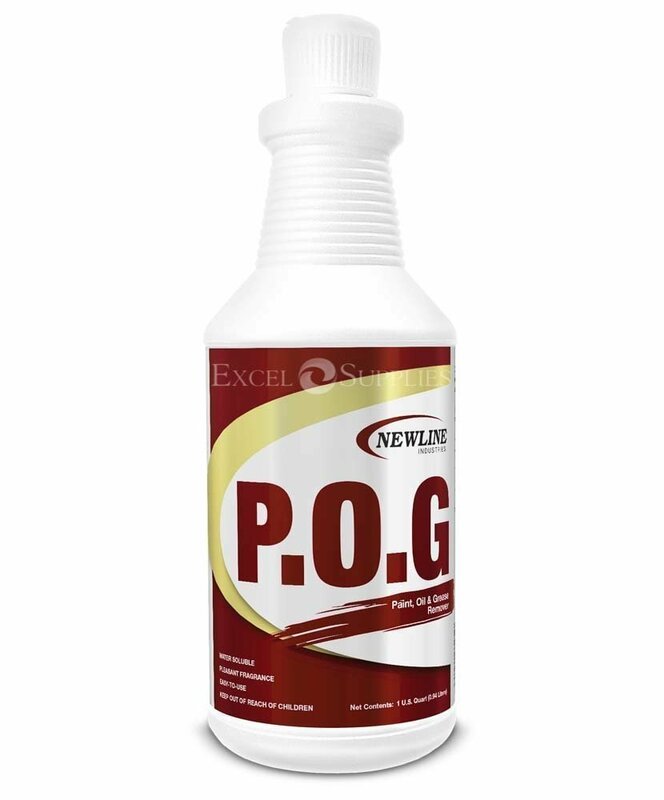 Newline POG effectively removes stubborn stains on carpet, upholstery and other textile surfaces that may have remained during the normal cleaning process. It can also remove ink, nail polish and cosmetic stains where other products have failed. POG has a pleasant fragrance and is fast-acting. Ready to use and water soluble. Directions for use: For spots and stains, use it full strength on a clean white rag. Use a scrapper to remove loosened soil from spots. Rinse and extract afterwards. To use it as a pre-spray: Dilute 16 oz. per gallon. Use hot water. Shake pre-spray dilution frequently during use.